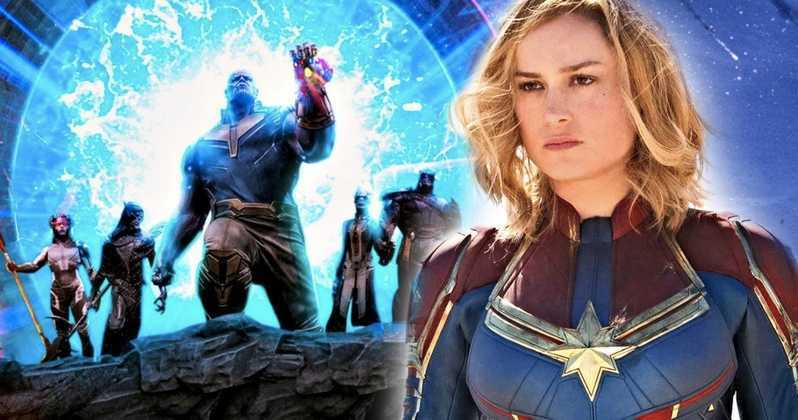 Marvel fans know that Captain Marvel is the first superhero in the universe, but it seems like there’s more than this that connects her to the Earth’s Mightiest Heroes. A Marvel Japanese holds a few details, including the year Captain Marvel takes place, while featuring an interesting line with respect to her effect on the Avengers. The first few lines read, “Draw the beginning of the hero who holds the key to the “Avengers” birth” Another line reads “The beginning of the hero, which triggered the birth of the Avengers, is now revealed” (via Cosmic Book News). This could be read as, ‘Oh, Nick Fury saw her and figured he should make a full team of Captain Marvels’. It’s the reference to the “key” that holds our interest. What happens in Captain Marvel that Fury doesn’t find another hero but a team of heroes? Maybe that “key” is why he tries calling her at times, but maybe that device doesn’t work, or she cannot reach Earth. If this is the case, then it makes sense why he wants multiple heroes available in case one can’t answer the call. This could also mean something different and all we can do is wait and watch. There are many other questions like, who Jude Law is playing it if her origin will The Life Of Captain Marvel’s recent revelations from the comics. Captain Marvel will be set in the 1990’s and will follow the story of Carol Danvers as she becomes one of the most powerful heroes in the universe. Captain Marvel will hit the theaters on March 8.